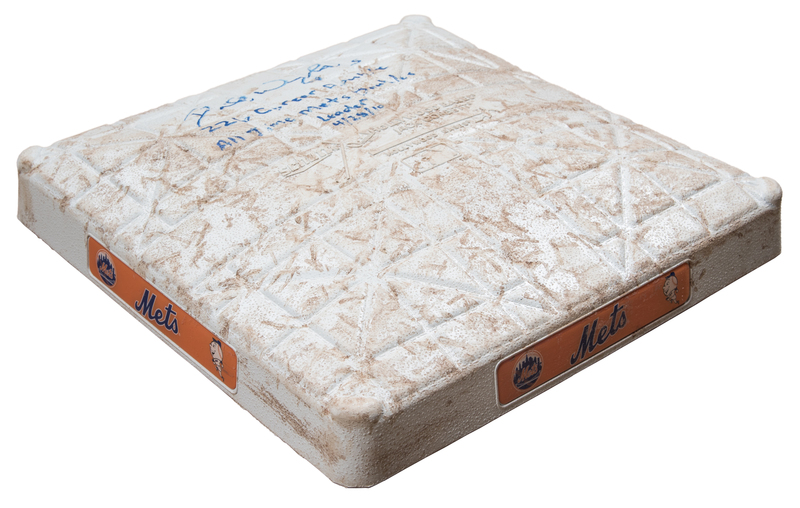 This base was used as second base during the New York Mets 7-3 home win against the Los Angeles Dodgers on April 28th, 2010 during the first three innings of the game. 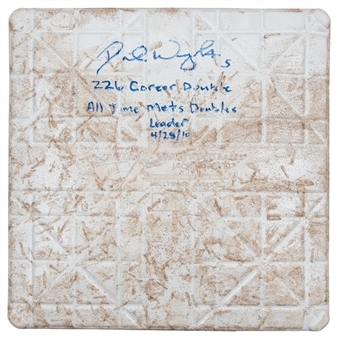 In the bottom of the second inning, Mets star third baseman David Wright crushed the 226th double of his career to become the Mets all-time leader, beating out original Met Ed Kranepool’s 225 career doubles. 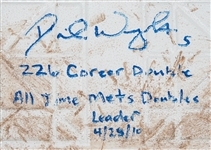 Wright finished 2-4 with a run scored in this Mets victory. 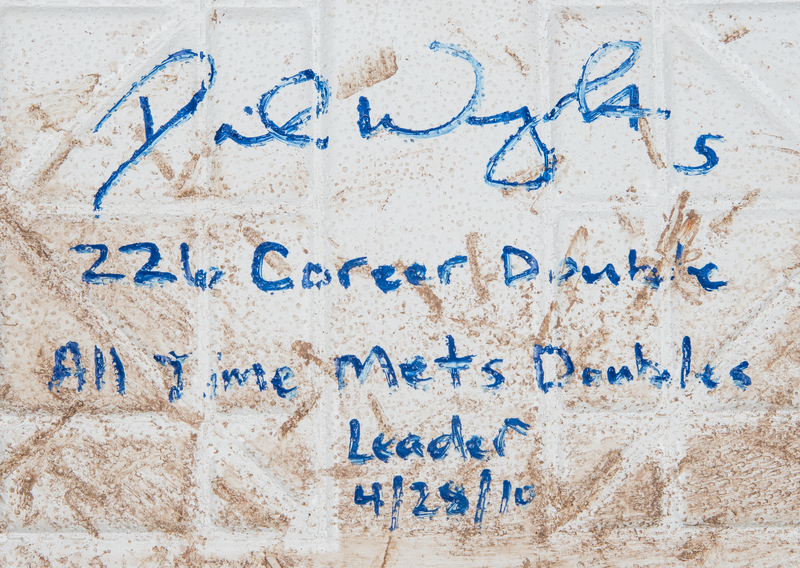 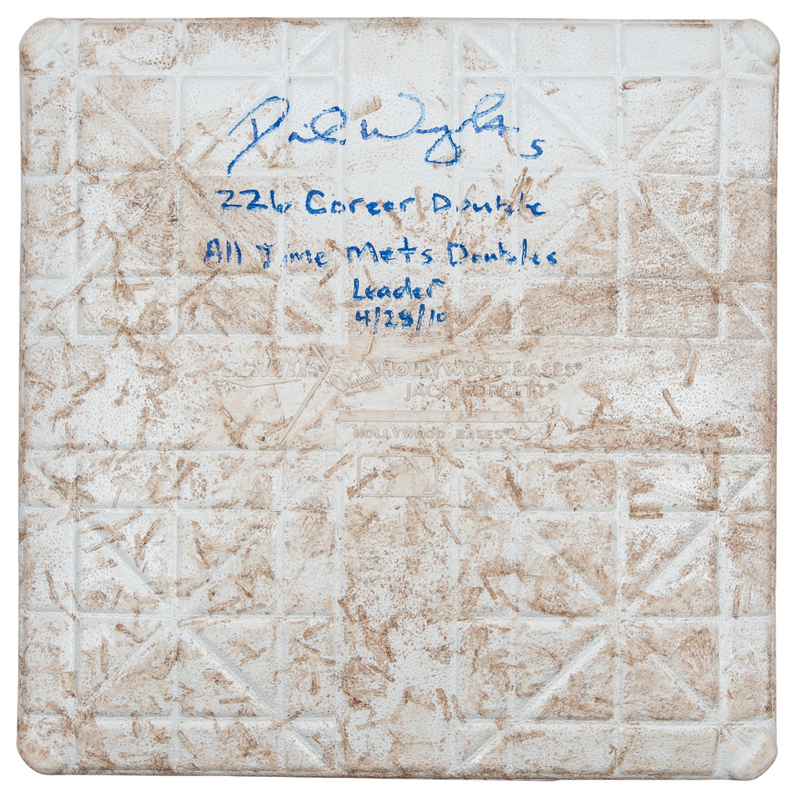 Wright has signed the top of the base in blue marker, inscribing “226 Career Doubles All Time Mets Doubles Leader 4/28/10”. 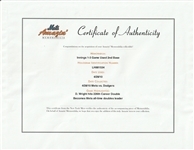 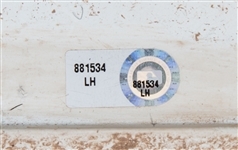 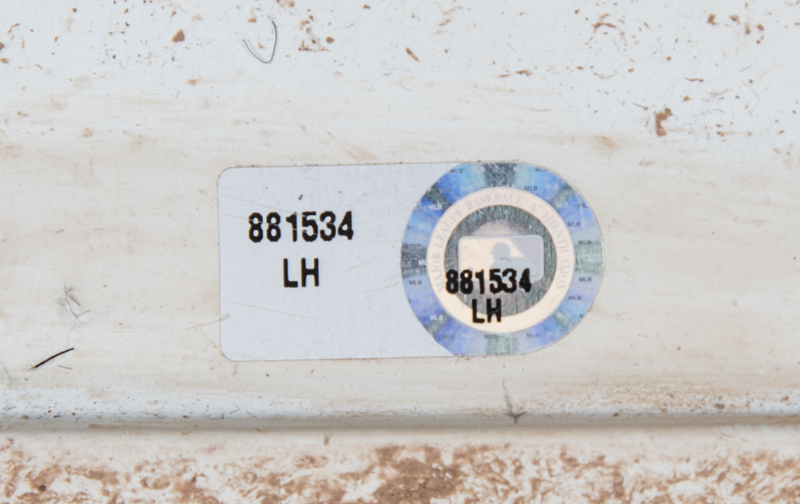 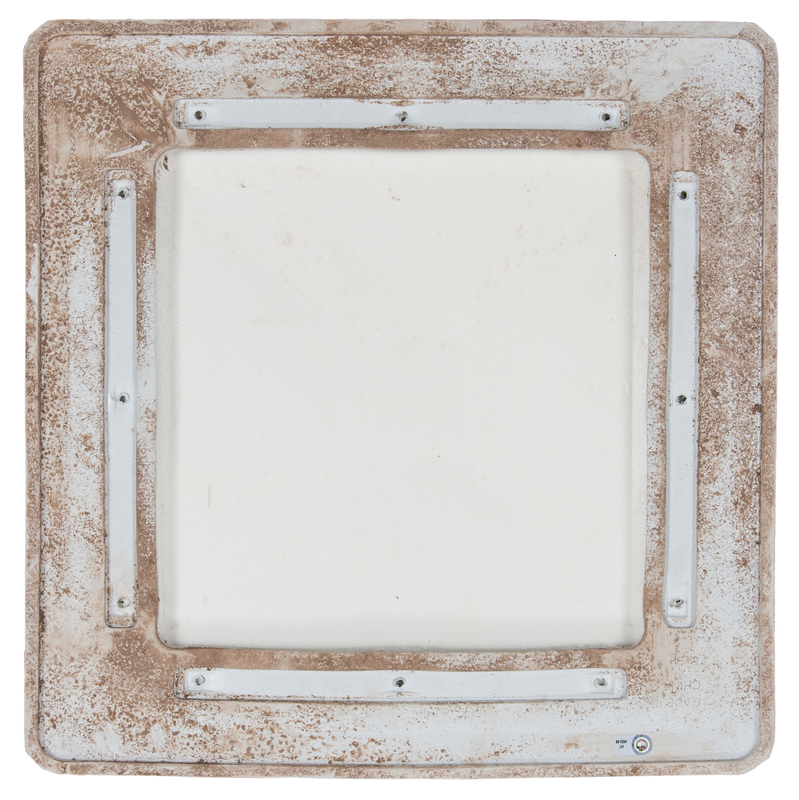 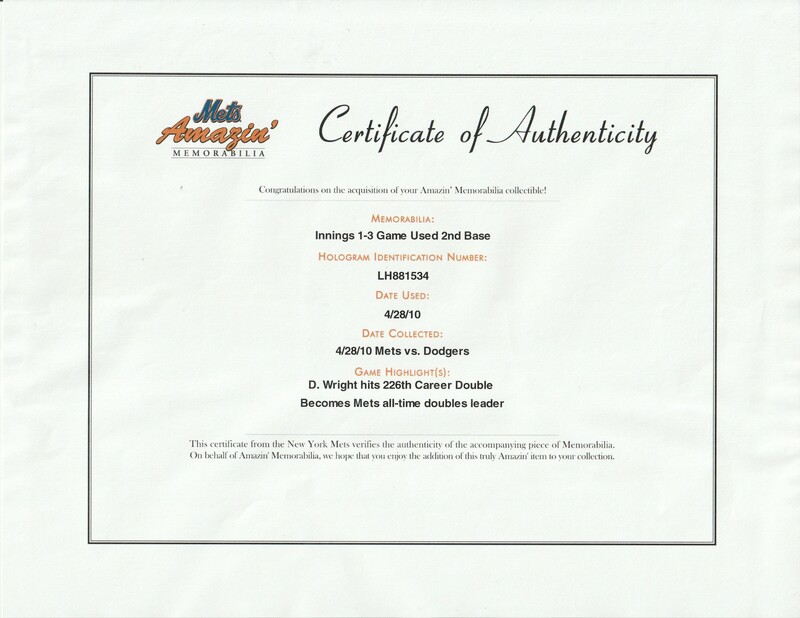 This base comes with a MLB Authenticated hologram (LH 881534) and a COA from Amazin’ Mets Memorabilia.